As we travelled by train through Romania there were so many photogenic looking towns and villages with stations, we sometimes just got off to explore. Never exactly sure where we were, we felt safe in the knowledge that there’d be another train along soon. These two pictures were taken at a couple of those stops. 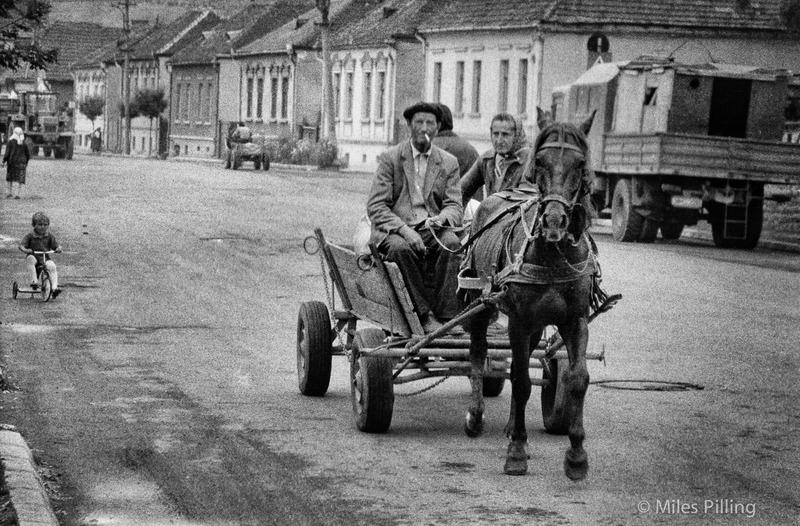 It was very soon after the downfall of Ceaușescu and many ordinary families were still using horse and cart to get about. 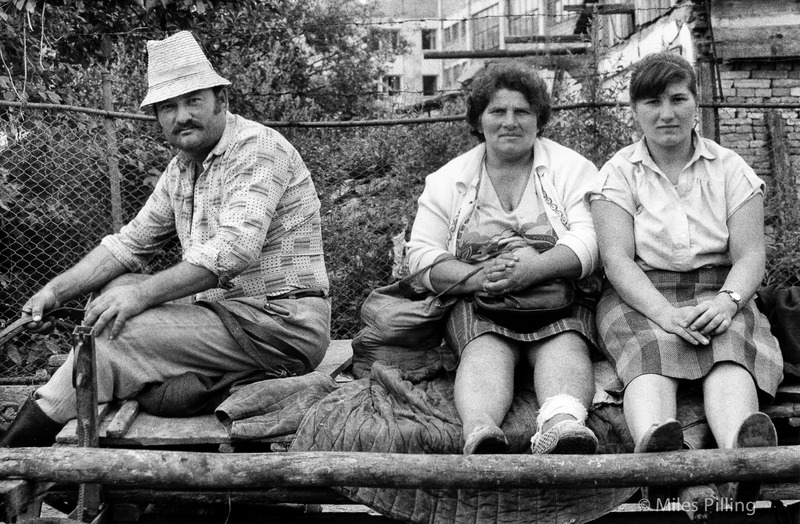 If you like these, there are more Romanian photos in my post about the Romanian National Circus, and in the page of 35mm film photography. I’ll also be posting some more images from our trip soon. For photo buffs, these photographs were taken on a Canon T70 using Kodak Tmax 400 film. The way you capture the essence of life in your photos is beautiful.